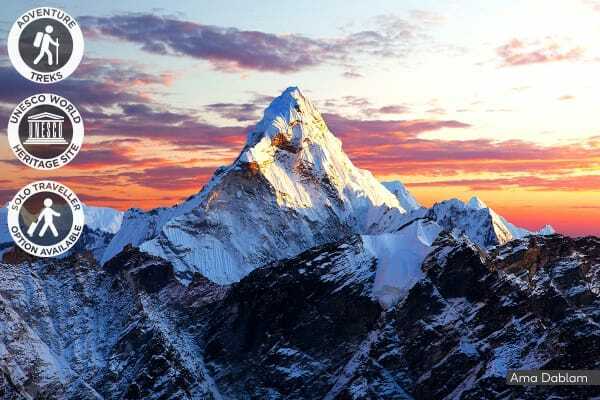 Get ready for a life-changing adventure as you trek across the breathtaking snow-capped Himalayan mountain ranges to conquer Everest Base camp, getting up close and personal with one of the world’s most magnificent natural wonders. Owned and run by locals, staying in local guesthouses are a brilliant way to fully immerse yourself in Nepalese culture and gain insight to life in the mountains. Staying at local guesthouses not only enhances your Himalayan experience, but it’s an opportunity for you to support the local economy that otherwise would not be able to benefit from tourism due to distance and remote location. 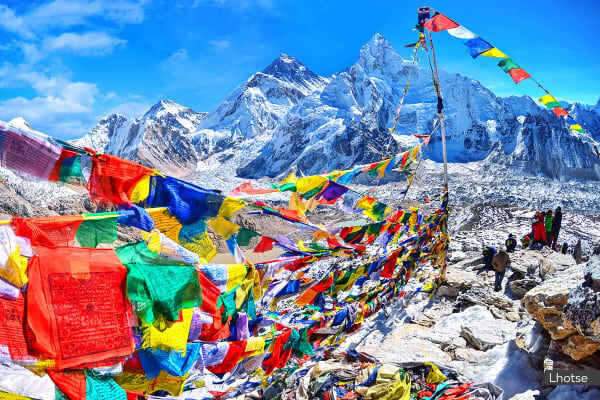 Get ready for the adventure of a lifetime as you uncover the mystical beauty of Mt Everest on this incredible 16 day trekking tour to Base Camp. Sweep past splendid architecture, Buddhist Stupas adorned with colourful prayer flags, hidden alleyway gems and natural wonders in Kathmandu on a day of sightseeing before your trekking adventure. Feel the thrill and accomplishment as you ascend the Khumbu Icefall to reach Everest Base Camp, where you can look out over the top of the world, soaking up your momentous achievement! Fly over snow-capped mountains and enjoy breathtaking views of the mythical Himalayas from above on your included internal flight from Kathmandu to Lukla. Walk along the banks of the Dudh Kosi River to reach Namche Bazaar and Tengboche, crossing over exhilarating suspension bridges ornate with bright Tibetan prayer flags. Feel your heart rate elevate as you transcend over the stunning narrow gorges. 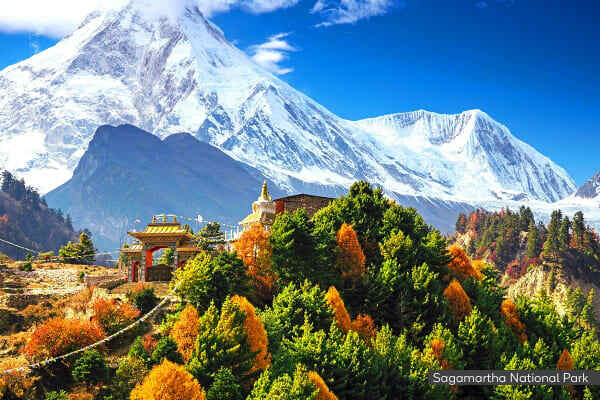 Observe a buddhist prayer session at Tengboche Monastery, and be enchanted by the peaceful recitations of 60+ brightly-clad resident monks while gaining an insight to local mountain and Sherpa life. Namaste Kathmandu! 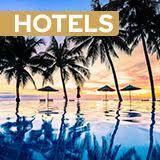 Once you arrive, you’ll be transferred to your hotel for check-in. For arrivals before 4pm, you’ll meet your guide and be briefed about the trek at the tour head office. For arrivals after 4pm, you’ll be briefed at the hotel. Tour the iconic landmarks today of Kathmandu, starting with the Pashupatinath Temple, a two-tiered pagoda on the holy banks of the Bagmati River. Continue onto the gilded tower of the Boudhanath Stupa, designed to resemble the Buddha’s four pairs of eyes eternally watching over the people. Finish off your tour with a visit to Bhaktapur Durbar Square, famous for its collection of pagodas, shikhara-style temples and a fifty-five window palace made from brick and wood. Stop off in Thamel for some last minute shopping and spend the rest of the afternoon at your leisure. Fly to Lukla this morning. Upon arrival, your guide will brief you on the trek and introduce you to your Sherpas (porters). Descend down the Dudh Koshi River and begin your light trek to Phakding via the small village of Ghat. Continue along the banks of the Dudh Kosi, crossing this majestic river via suspension bridges laden with Buddhist prayer flags. After entering the Sagarmatha National Park, ascend up the steep trail to enjoy breathtaking views of the mountain ranges before arriving at Namche Bazaar. Considered the ‘Gateway to Everest’, Namche is the biggest town on the Everest trail and home to many restaurants, lodges and local shops. Spend the rest of your day exploring at your leisure. Spend the day in Namche Bazaar acclimatising and adjusting to the thin mountainous air. Trek a short distance to a local museum celebrating the customs and culture of the Sherpa people. Hike up the Syangboche Airport to the Everest View Hotel where breathtaking Everest views await you atop one of the highest-placed hotels in the world. Begin your morning trek with the rushing glacial waters of the Dudh Kosi and magnificent mountain views, trekking to an altitude of 3,860m to Tengboche. Upon arrival, visit the Tengboche Monastery marveling at the ornate Tibetan wall hangings, a 20ft sculpture of the Buddha, local musical instruments and the robes of the Lamas. Gain insight into the Buddhist culture and life with the opportunity to observe a spiritual Buddhist prayer ceremony in the monastery. From Tengboche, the trail drops to Debuche, crossing over suspension bridges on the Imja Khola, passing through thousands of Mani stones carved with the words of the Buddha en-route to Pangboche. Continue the trek uphill to the quaint Sherpa village of Dingboche where majestic views of Lhotse, Island Peak and Ama Dablam await. Acclimatise to the atmosphere of the higher mountains today by taking a short hike to Nangkartshang Peak, enjoying magnificent views of Ama Dablam at the summit. Spend the rest of the afternoon exploring local life at the village or unwinding at the guesthouse before your Base Camp trek. Today the trail continues along the Khumbu Glacier. Continue the climb towards Lobuche, lying at the foothills of the giant Lobuche Peak. Brace yourselves this morning as you walk along the Khumbu Glacier up to Everest Base Camp. At 5,365m, you’ll marvel at jaw-dropping views of the Khumbu Icefall with the majestic Mt Everest ahead of you. This is the closest you can get to Mt. Everest without mountaineering equipment, and you may even see expedition teams preparing to conquer the summit. Later, return to Gorak Shep for the night. Spend the morning climbing Mt. Kala Patthar, where magical mountain panoramas await atop the 5,555m peak. Mt. Everest towers ahead, surrounded by mountain giants such as Nuptse, Pumori, Chagatse, Lhotse and many others. Descend back down to Gorak Shep for breakfast before trekking to Pheriche. Leave the mountains behind you this morning and say goodbye to the Pheriche as you descend through Pangboche and Tengboche before arriving at Namche Bazaar. Come full circle today as you complete your trek and return to where it all began in Lukla. Congratulate your trek mates on this tough adventure and take time to reflect upon your personal achievements. The rest of the afternoon is yours to spend at your leisure, perhaps indulging in a couple of celebratory drinks with your trek mates! Soak up the last glimpses of incredible mountain views before boarding your internal flight back to Kathmandu. Upon arrival, you’ll be met by a driver and transferred to your hotel for check-in. Feel free to explore Kathmandu at your leisure, marveling at medieval temples and basking in incense burning aromas and narrow alleyway gems. In the case of bad weather, the flight may be postponed until the next day. Relax, rejuvenative and soothe your tired muscles with a complimentary massage today, spending the rest of the afternoon to rest or explore Kathmandu at your leisure. Enjoy a farewell dinner in the evening at a traditional Nepalese restaurant accompanied by a scinitllating cultural performance. 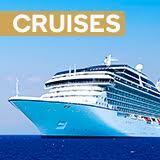 Say goodbye to your trekking buddies as your transfer to the airport for your international flight home to Australia.